#1 14th Sep 2014 at 5:04 AM Last edited by Kuree : 25th Sep 2014 at 3:10 PM. 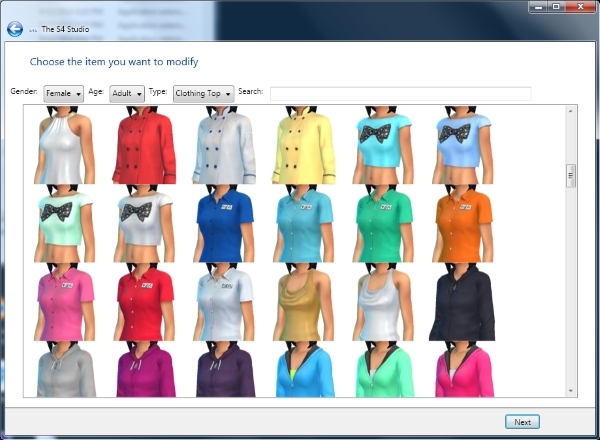 You can create your own new accessory meshes for the game and the accessory can have multiple recolor swatches in the same .package. You can create default replacement recolors and standalone recolors easily and add multiple recolor swatches per project/.package. Cloned EA meshes are imported into Blender positioned on a model Sim making it easy to size and position your mesh. If you prefer another editor Blender can serve as a convenient go-between for many other 3D editors such as Maya, Milkshape, and 3DS Max. More functionality for using this tool in combination with other editors is coming soon. Thanks for this, Kuree! Can't wait to test it out! Oh my... This is going to be amazing! Thank you so much Kuree!!! Error messaged out and crashed. I submitted the info on the official post at Simlogical. Tutorials coming soon on the Site the tool's hosted at. There's a person working on it and will have it out ASAP!. What kind of Sim loves like this? What's wrong ? Anyone know how to do ? For those having troubles, are you making sure that you use 7-Zip to extract the program. All other unzipping programs make it have errors. EDIT: Or you can get the new version which has an installer. I was really hoping this would allow us to finally extract and import new objects. Although, good work! System.Reflection.TargetInvocationException: Exception has been thrown by the target of an invocation. ---> System.NullReferenceException: Object reference not set to an instance of an object. I made 2 T-shirts with the tool. They work fine in CAS, but in-game it causes a crash. Is this my wrongdoing or the tools? Does this work for hair recolors? I figured out what I was missing. Not only save as DXT5 or whatever, but you have to select the option to add a mip-map. It works great for me. I love it. I have installed my sims 4 on another disk (like all my other sims stuff) could this maybe the reason why I always get a white screen when I try to clone a mesh or to do a recolor? Which paths uses the programm to find the package files?? I really need help guys, I want to make meshes again/convert my old meshes. Anybody ideas? when I load the studio and get to the second page...nothing shows up. can you please help? it picked right up on the creator name and there was no prompt to reestablish a path. that means there is information being stored on my computer somewhere. If I knew where, I could uninstall, delete the information and reinstall...or...maybe you can help me? I really want this program to work and have spent hours of my life trying to resolve this...please help. This tool works fine for me except for my swatches created with it are appearing as llama icons in-game, not the colors I choose. Is anyone else having the same llama problem? stringtone (and anyone else having the same problem) - You're right, information IS being stored on your computer somewhere. 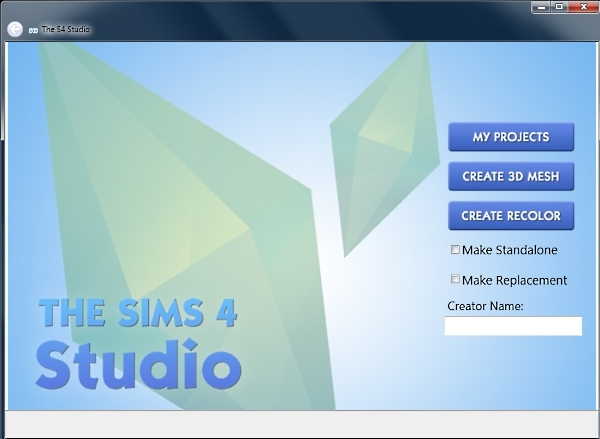 Try deleting the folder you'll find in C: (Or whichever letter your hard drive is) \Users\(your name)\AppData\Local\S4Studio and then restarting Sims 4 Studio. (No need to uninstall/delete it.) I haven't tried it out, but that works for ColorMagic. As for blank pages, it DOES take a little bit of time for all of the CAS meshes to load when you start it up. @mustluvcatz: I still get the blanc page. I waited 10 mins to give s4studio time to load the meshes (even tho my pc is actually very fast) and simply nothing happens. Not even a scrollbar appears. Its simply not able to locate my fullbuild packages. Anyone help? PLEASE.